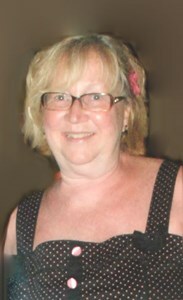 Newcomer Family Obituaries - Patsy C. Rinehart 1951 - 2019 - Newcomer Cremations, Funerals & Receptions. Patsy C. Rinehart, age 67, of Centerville, passed away Friday, April 12, 2019. Patsy was born May 6, 1951 in Dayton to the late John & Phyllis Shade. She is survived by her sisters, Nancy Shade and Lois Sewak; children, Jennifer (Mathew) Naujock, Jeff Rinehart, Michelle (Brad) Kendrick and Melissa (Nick) Dearth; grandchildren, Braxton, Kaylee, Trenton, Norah, Savannah, Owen, Leah and Grace; beloved dog, Chloe and many friends. The family will receive friends on Thursday, April 18, 2019 from 1:00 – 2:00 pm at David’s Cemetery Chapel, 4600 Mad River Rd, Dayton, OH 45429. The service will follow at 2:00 pm. A reception will follow in the chapel from 2:30 pm – 4:30 pm. Patsy will be laid to rest with her parents at David’s Cemetery at a later date. She is missed dearly by her family and friends. Patsy was an avid reader who enjoyed being home under a blanket with her Kindle. More than anything, she cherished spending time with her grandchildren. They were her true joy… from swimming and soccer games to cookie decorating and donuts at the park, we are thankful for the many memories that she built for them. In lieu of flowers, the family suggests a contribution to St. Jude’s, an organization she supported or the Humane Society of Greater Dayton for her love of animals. To leave a special message for Patsy’s family, please click Share Memories. Add your memories to the guest book of Patsy Rinehart. The Maxton family found Patsy 40 years ago when she babysat for our son Patrick and a few years later for our daughter, Mary. She was our sitter until Patrick started kindergarten. We taught in West Carrollton but lived in Centerville. We have such fond memories of Patsy. She had just Jennifer and Jeff when we started and we were still there when Michelle and Melissa came along. Patrick sends his condolences from Chicago. Mary teaches in Miamisburg and regrets not being able to come today. Patsy will always be special to all of us. I worked with Patsy for many years at the Berry Company and had coffee with her every Friday morning at Panera before work. We did this for many years and I always looked forward to having our early morning coffee. Patsy didn't care for Panera coffee so she would bring her Tim Horton's coffee cup into Panera and drink with us. She talked continuously about her grandkids and Cloe. They were her favorite people. I am shocked that we have all lost her too soon, but I will smile every time I think of her. She was my friend and I will miss her. You were a wonderful friend. You had a huge heart and had so much love for your family and friends. Thank you for all of the great times we had. I miss you so much. My thoughts are prayers are with the family. If there is anything that Patsy loved more than her dog Chloe, it was her family. She was an amazing person to know and work with. I am already missing her bright smile and her laughter. Her absence has left a void that will never be filled. I had the pleasure to work with Patsy for years at the Berry Company and she was such a sweet person. I remember her with a cup of coffee and a big smile early in the morning before work. My prayers are for her and her family and I know she will be missed by all her co-workers from the Berry Company. I am so sorry to hear about the passing of Patsy. So many memories of our days on Orchard Run Rd. My thoughts and prayers are with all of you during this difficult time. My thoughts and prayers are with the family. Patsy was an amazing friend and co worker who is going to be missed more than ever imagined.